In 2007, DeVero, Inc. launched with the mission of providing a user-friendly EHR solution that adapts to the ever-changing needs of mobile healthcare providers. Known for ease-of-use and flexibility, the DeVero solution is now trusted by healthcare companies across the country, including the largest provider of home health and hospice in the United States. We have made it a point to question assumptions and approach challenges with an open mind to provide the true innovation that healthcare organizations need to succeed. 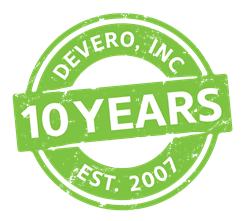 Ten years ago, DeVero, Inc. was founded on the belief that traditional electronic health record systems (EHRs) were too complex and that a simpler approach was needed for mobile workers providing care in the home . Since then, DeVero has delivered a SaaS healthcare platform acclaimed for the ease-of-use, adaptability, and flexibility needed for organizations to transform with the ever-changing requirements of the communities they serve. The company started as the result of one brother doing another a favor. The finance director of a home health agency asked his brother Steve Randesi, who had recently retired, to help him out. The agency was struggling with efficiency and was seeking to improve operations and financial performance. Randesi spent a lot of time trying to understand the problems and issues facing the agency, and observing the tasks and workflow being done by the staff. What jumped out to him was the massive paper overload that was causing significant inefficiencies, duplication of data entry, and unneeded manual labor. The lack of visibility into day-to-day operations and data was also preventing the agency from efficiently and correctly collecting clinical and billing data and submitting claims in a timely manner. It was obvious to Randesi that the agency needed to automate and move into the electronic, online world. Using his technical skills, Randesi initially built an online financial application that allowed the agency to better track claims submitted and reimbursements received. Building on this promising positive impact, Randesi then attacked the paper-intensive clinical documentation problem by building out a suite of online forms that clinicians used to document the care they were providing. This not only improved the speed and accuracy of documentation, but it also made the office QA process much easier and efficient, reduced the time to submit claims, and gave management the reports and visibility they needed to better run the business. This initial experience in the home healthcare market was so successful that it inspired him to officially launch DeVero in March of 2007. Instead of creating complicated online decision trees as part of a solution that takes days or even weeks to learn, DeVero uses electronic forms that mimic the paper forms that are familiar to clinicians. Thus, on-boarding time is reduced as users can begin using the system after as little as an hour of training. “Ease of use is the No. 1 criteria for success. Applications don’t fail because they don’t have the right functionality, they fail because they are too difficult to use,” Randesi said. While other EMR's create strict rules and inflexible workflows, DeVero offers an adaptable workflow that allows incorporation of 3rd party or even custom solutions through API's. For established organizations with proven workflows, this means DeVero offers a solution that enhances, not disrupts, their businesses. The DeVero application allows healthcare agencies to manage their business more efficiently, reducing costs, while improving outcomes, and giving businesses the flexibility necessary to remain competitive. DeVero’s proven platform supports companies of all sizes, including the largest home health and hospice provider in the country. In addition to home health and hospice, DeVero customers are leading providers of pediatric, transitional and community care, therapy services, and municipal public health outreach programs. The company’s unique approach has been met with multiple accolades. 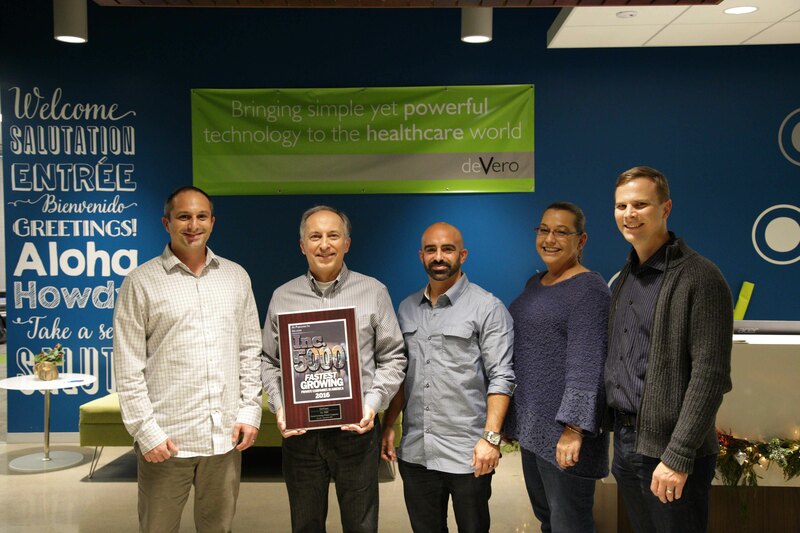 Inc. magazine ranked DeVero in its “35th Annual Inc. 5000,” the most prestigious ranking of the nation’s fastest-growing private companies; the Silicon Valley Business Journal placed DeVero in the 26th position on its annual “List of Fastest-Growing Private Companies in the Silicon Valley (Fast 50)”; and Post Acute Link, a conference for post-acute care providers, awarded DeVero with the “2016 Post Acute Link Elite Distinction,” an honor bestowed upon the top 25% of Post Acute Link partners as determined by provider ratings. “The fact that we have been able to both grow our company based almost exclusively on organic growth and thrive in Silicon Valley is one of our biggest accomplishments,” Randesi said. What's next for DeVero? "Continued growth as we gain the attention of enterprise customers - both within our core markets and beyond," Randesi said. DeVero Inc. (formerly known as Home Healthcare SOS) provides a multi-service line healthcare platform that provides an easy-to-use, adaptable, and highly scalable solution that meets the emerging needs driven by the transformation of healthcare. Providers, payers and government organizations leverage DeVero to efficiently collect, share and integrate patient and population data from any location, using any device. 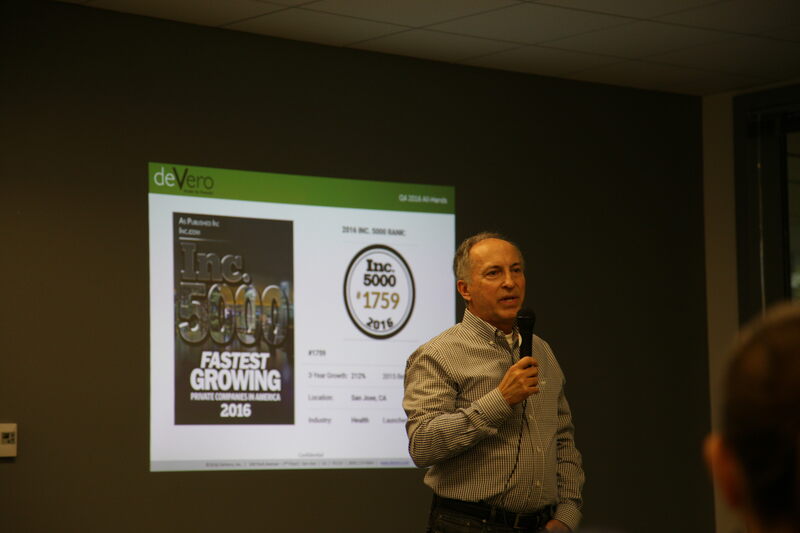 Based in Silicon Valley and founded by tech and healthcare experts, DeVero was born to create innovative solutions to common business challenges. Visit https://www.devero.com or call (800) 219-0664 to learn more.